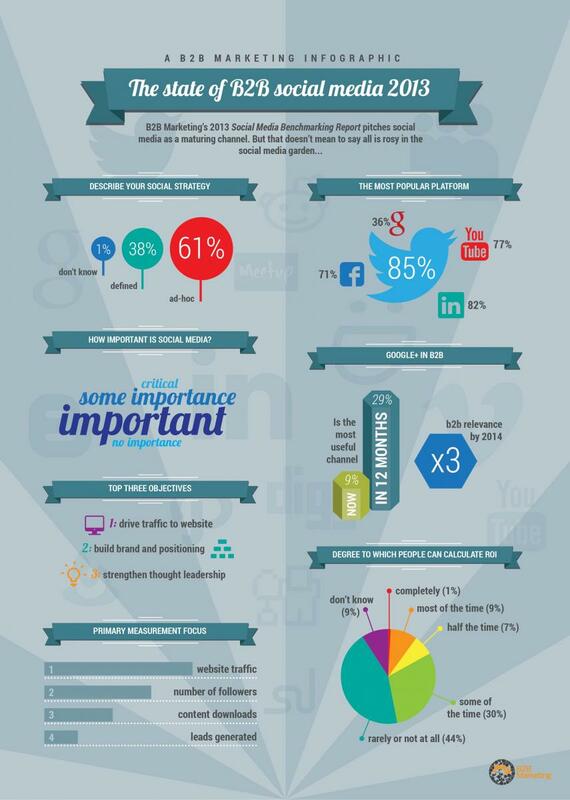 This infographic has more than a few telling points on where you should be looking to get the best from the effort you put into your social media channels. Are you one of the 38% with a defined social strategy? If not start planning now. No strategy could result in wasted effort and poor results. Google+ is acknowledged as being of growing importance but have you got you account set up? If you start now you will be in the right place and up to speed when it becomes more dominant. Measure what matters to see if you are achieving ROI for your social endeavors Leads and content downloads are of real benefit to your business, you have actual data and the prospect of a conversion (real money). If like the majority in the survey your primary measurement focus is traffic and followers be careful these can be hollow statistics; visitors that reach your site in error and depart in seconds or followers that are automated “followbacks” with no interest in your product or service. Use a range of metrics and you can calculate your ROI and avoid wasting resource. 90% of these respondents might be happier if they knew a bit more.